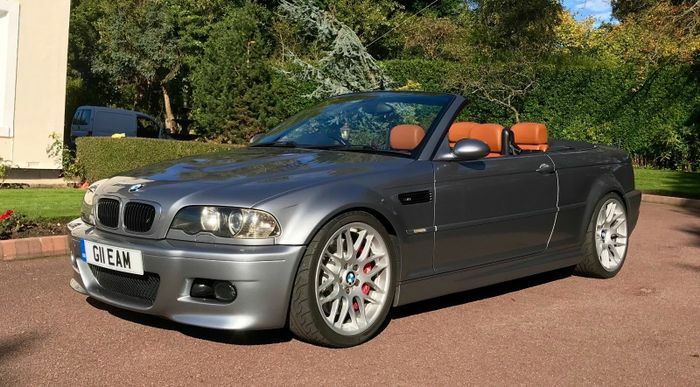 On first glance, this looks very much like an ordinary E46 BMW M3 Cabriolet. 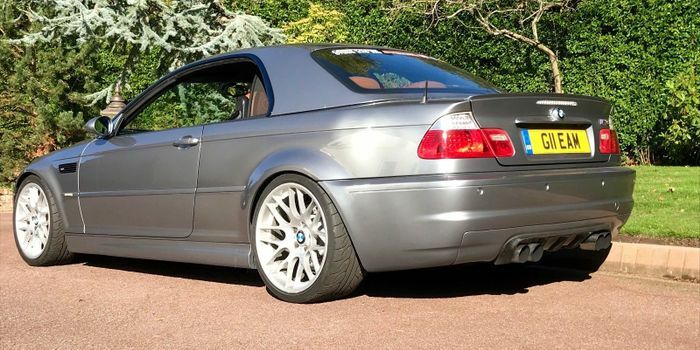 It sits a little lower than normal and is wearing M3 CSL wheels, but other than that, it doesn’t seem that far off the stock car. Until you see what’s under the bonnet. Gone is the ‘S54’ naturally-aspirated inline-six, replaced with a 2JZ. Fitted with a nice, big Borg Warner turbocharger, it develops a meaty 572bhp and 567lb ft of torque. And boy, does it leave us conflicted. We’re all for engine swaps, but isn’t removing the high-revving N/A six - one of the most revered engines BMW has ever made - just a little sacrilegious? Isn’t that 3.2-litre hero one of the car’s defining features? On the other hand, while the S54 is a complex engine that’s not exactly known for stout reliability, the 2JZ has made a name for itself for being a tough old thing that can be heavily boosted without anything going pop. It’s a big deal in the tuning world after all these years for good reason. Even without a close-up engine shot, you can tell it’s a neat conversion. 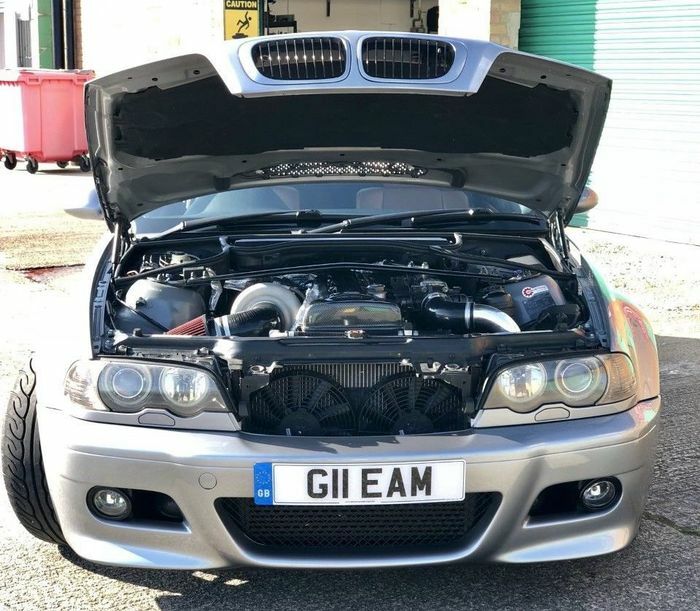 The E46 has clearly had a lot of money and attention thrown at it, as noted in the brilliantly detailed eBay advert for the car. 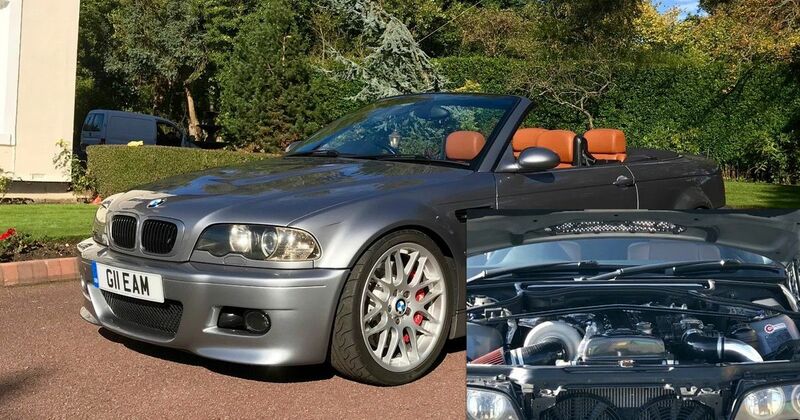 The seller claims over £35,000 has been spent on the car, which we can believe. We’d be here all day if we were to go through every single upgrade, but highlights include a twin-plate racing clutch rated beyond 800bhp, a three-inch custom exhaust system, eight-piston brakes, D2 Racing coilovers, and a Wavetrac torque-biasing differential. The interior has been extensively upgraded too. 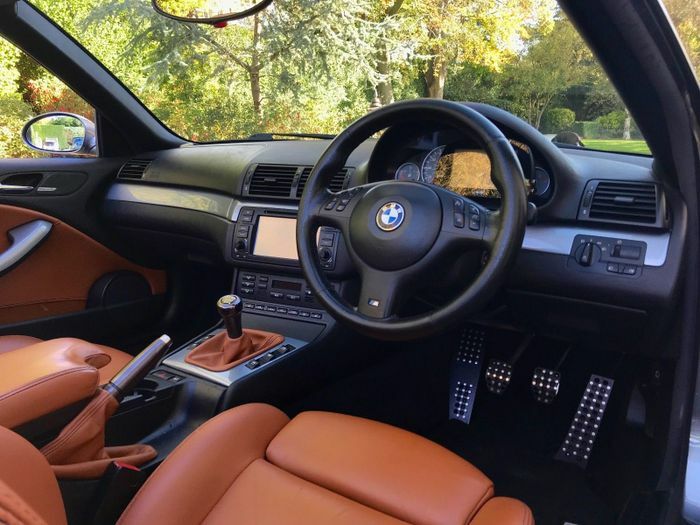 It now features gloriously brown Bentley leather (complete with embossed M logos in the headrests), a reupholstered steering wheel plus a new gear shifter and handbrake lever, both made from titanium-plated stainless steel. This 572bhp slice of mixed feelings is yours for £24,995.